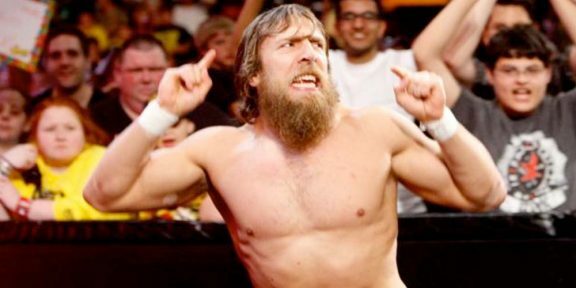 During a segment at Smackdown tapings yesterday, a segment which will probably not make it on television, it was announced that Daniel Bryan will have to undergo a second surgery to fix his arm. The second surgery was originally scheduled to be done this past August but then doctors thought he’d be okay if he continues rehab, thinking the strength in his arm will eventually come back slowly. This was not the case and now the former champion will be going under the knife again to finally repair his arm. Bryan underwent neck surgery a but more than a month after WrestleMania when he was still the WWE World Heavyweight champion. He only managed to defend the title once on a pay-per-view and was eventually stripped of the title belt when it was clear that he was not going to return anytime soon. His rehab was featured during the season 3 of Total Divas with the company keeping him in the public eye while he was out injured.